i love to bake. particularly desserts, but if you can put it in the oven — i’ll give it a try. my favorite things to bake are stand alone favorites: several types of cookies, a killer chicken pot pie, cupcakes and banana bread. i think we all (except for those that are allergic) love banana bread, don’t we? well i have a story to share about some banana bread and it is going to knock your socks off. the bread is divine. but the story, well, the story makes it better. outside of the facts learned in school, i got (most of) my intelligence, my humor and my county-girl charm from my grandmother. she was a phenomenal person. she also taught me respect. the born-and-raised in the south and we-don’t-take-none-of-that-backtalk-’round-here respect. she taught me about personal space, real friends and why you should never keep your car and house keys in the same place. she taught me how to sew, bake and gave me Kitchen 101.
when i was in high school, the upper left corner fell off and i laminated it in an after school print shop program. we determined from the writing on the back that she had written it down in approximately 1956. *mumbling* minus the … carry the .. and then move the… hey, yeah! that’s fifty-six years ago. that is about the same age as my parents. 🙂 i cannot provide you with any more historical information than that. she gave me the recipe and told me to hold tight to it. and i have. i made it from time to time. not really enjoying the process or the outcome. she gave me compliments and critique along the way. if i had known, then, what i know now — i would have spent every day, since the day she gave it to me, perfecting it and honing the recipe into exactly what it is today: a legend. it’s that good. my high school spanish teacher, used to purchase loaves from me at two dollars a piece. that was a nice little allowance until she got a loaf that wasn’t quite done in the middle and she gave up on me. understandable. i don’t remember making them too often during my college days either. what bread i did make was for my grandmother, at her request. i enjoyed it, but not enough at that time. she once told me “you make it better than i ever could”, which of course warmed my heart. i would make it for her and never think more about it. i made it when i worked as a police dispatcher and have been reminded of how much it is missed. i have made it for people along the way and always received compliments on it. i also made it for my friends at the hotel. i remember taking a loaf to the housekeeping department who promptly grabbed their morning cups of coffee and sat in silence enjoying the bread. it wasn’t until a few days later that i learned the bread was the topic of discussion that day. after many years, my grandmother told me that she wanted to share the recipe with someone she worked with. i don’t know if you’ll believe this, but i actually refused to give it back to her. she scolded me. i retorted with my standard “make me famous” line. she didn’t buy it. i gave her the recipe. she was the author, after all. to my best friend’s grandmother (Nanny). she’s a sweet old bird who used to share “our grandkids are crazy” laughs, cured salt pork and southern lady conversation with my gramma. i made the bread, she loved it and i gave her the recipe. hesitantly. earlier today, after a little more than three weeks of deliberation and a few pleadings i shared the recipe with two of my coworkers. cee-dub (cw or coworker)one is a fellow baker who has promised me three things: a) a secret family recipe of her own, b) her help and her kitchen in creating a new baking masterpiece and c) her first-born grandchild. i intend to collect on all three. cee-dub two saved my rump last week and if my gramma were alive she would have said “you better give that girl the recipe, she helped you when she didn’t have to”… i can actually hear my gramma saying it. ugh. i started this entry a couple of months ago and have actually shared the recipe with several other people. now, you might be saying “but you didn’t share it with aaaaaaaaaaaall of those other people from way back when” and you’re right. but the fact of the matter is that i don’t follow the recipe. 😀 it’s true. i know it by heart, can predict it’s outcome and have tweaked it just enough to call it my own, so sharing it — is just a formality. it stands true, always delivers a quality product and those that have received the recipe and followed it’s instructions have yet to stop thanking me. it’s that good. as you can see, i’m stingy. this legend of a recipe is going to put my son through college. maybe. speaking of son, he’s the number one fan. he loves the banana bread and can hardly wait for it to get out of the oven. seriously. he’s touched several hot loaf pans and stolen countless HANDFULS and slices of the bread. it is his favorite breakfast treat. but wait, there’s more. my job recently had a bake sale. naturally, i agreed to bake. i originally intended on making cookies. but when it got down to crunch time, i didn’t have the ingredients that i needed to make the cookies i wanted to make and then i remembered the dozen-and-a-half bananas in the garage freezer. they were provided to me by a coworker after our annual benefits fair. the bananas had been a little abused from travel and were almost prime bread making real estate. she came to my section of CubicleWorld and stated “hey baker, you should take those bananas home” (thanks, Paula, i miss your smile). perfect. the recipe is simple and doesn’t require special ingredients. so i decided to make banana bread. the sale required that all foods be individually wrapped and labeled for sale. i was completely oblivious to this fact, but decided to make mini banana bread bundts. they are just so cute and so perfect for a bake sale. i only have three mini pans, so i had to bake in shifts. grease and flour the pans, bake three breads, allow them to cool, wash the pans and then start anew. it took me six hours to bake a dozen mini bundts. and i still had batter left over. i let them cool and sealed them up in my handy-dandy cake saver and travel container. a God send of a gift from my aunt, Martha Stewart and the fantastic folks at Wilton. the next morning i trotted off to work, proud and excited. when i got to the bake sale area, i had forgotten to wrap and label the cakes. i hurried back to the break room… found some clear plastic plates, white paper doilies and saran wrap. i printed up some labels and priced the pretty little breads at $3.50 each. the packaging was so simple and cute. the only thing that would have made them better was ribbon and instead of labels, vintage shabby chic graphic art tags. i started with twelve, took ten to work because my aunt and son claimed one each. ten mini bundts. the bake sale opened about thirty minutes later. she bought six of the twelve. i received an email at 9:26 in the morning stating that the bread sold out in twenty minutes. the entire sale was over about forty minutes after it started. almost one hundred dollars was made and thirty-five of it was from my breads. yay! i made her some a few weeks later. she returned the favor by making a Thomas the Train blanket for my son. he loves it. i have seen the “buyer of six” as well who shared how the bread was already a family favorite and she had also made mental note of my pan situation and was keeping her eye out for additional mini pans. sweet, right? she told me that day and every time that i have seen her since that the bread is “to die for”, but “the story makes it better”. all of the folks that i have “met” since the bake sale, whether in the cafeteria, break room, ladies’ room or in the walkway have said “you’re the one who makes the banana bread, right?” a great reputation to have, if i do say so myself. i have made the bread regularly and always get smiles and hugs. we had a special meeting and presentation in our department last week and as part of the surprise, i made banana bread. jackie couldn’t contain herself and was ready to devour it upon sight. she sent an email around and within minutes the majority of a large bundt bread was gone. it was fantastic to watch. everyone passing my cubicle, eyes rolled back in their head with butter stained fingers saying “mmmmf, it’s so good”. i cut a few pieces and shared them with other work friends and received more warm and loving compliments. SuperBoy and The MadMan are known for asking for “MUUUUH” (that’s ‘moooooore’) while still having a mouthful. some of us have no talents. some of us have one or two. some of us have a million different things that we’re “kinda” good at. i have one certifiable talent and it is recreating and baking my grandmother’s recipe banana bread. it’s a simple recipe, hand written by the queen herself. it’s a favorite of all family and friends, a crowd pleaser and has stood the test of time for more than fifty years. the kids, ALL kids, love it. i take pride in it. when i bake it, i use my heart. i concentrate, infuse and incorporate love in every bite (thanks, ma!). what i can tell you for fact is this: 1) the smell is divine and will attract hungry bears, or neighbors — whichever is closer. 2) i get more joy from baking it than i do from eating it. 3) i get more joy from sharing it than i do from baking it. 4) you hope, wish and pray that you might ever be close enough to watch, listen and smell it bake. if you are, i guarantee that you will never want to be far away again. thanks, gertrude. i love you. i miss you and i wish you were here so i could bake for you. thank you for sharing and entrusting me with something so special and wonderful. it’s almost as special and wonderful as you. did i mention that i love to bake? i do. specifically desserts, but if it goes in the oven, i’m game. last year, for my aunt’s birthday, she asked me to bake her a cake. lemons! in varying states. 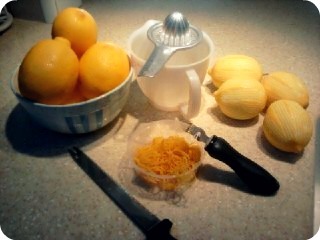 a knife: to halve, an old-fashioned-requires-elbow-grease juicer to juice and a zester to... zest! if you know me, you know that i have no problem buying and using boxed cake mixes and frostings. they are predictable and almost (yes, almost) foolproof. simply follow the directions adding this and that, bake and Viola! cake! i prefer to use them when i am working with large numbers of servings. dealing with homemade recipes can become difficult when multiplying. the most i will duplicate any recipe is tripled. after that, the percentages and consistency become compromised and the end result is not what you anticipated, expected or wanted. fail. but in this case, for my aunt’s birthday, it was one cake for one person. a box? again, i say: puh-shaaaaww! as if! 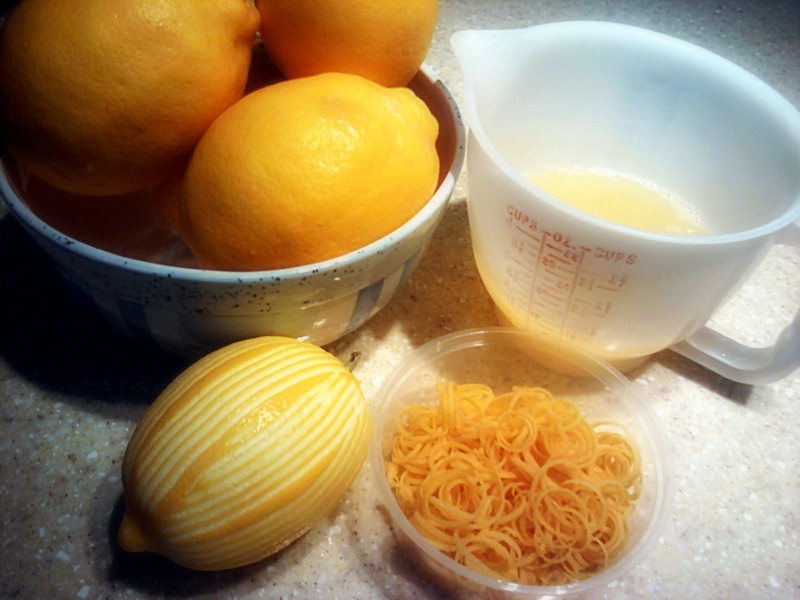 i took the next week to locate, research and compare lemon cake recipes. i look for recipes that require ingredients. not mixes of this or that. i enjoy the process so much that i refuse to short myself. as well, cake that is made with a list of ingredients is simply superior in every way. 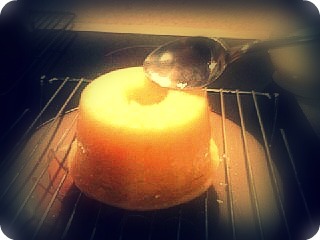 at the close of the week, i had chosen my recipe: lemon cake by Ina Garten. say whaaaaaaaat? that’s the barefoot contessa! yes, imma go with HER recipe. from the notes, a photo of the cake had been published in her cookbook prompting many readers to request the recipe. yes, that’s the recipe for me. peel, ummmm.. i mean, zest and all. 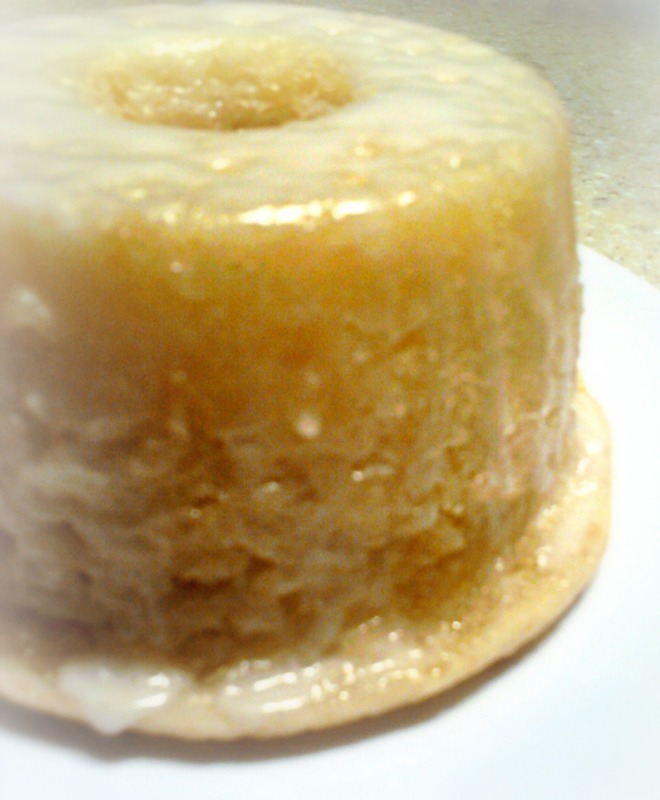 the recipe called for lemon cake, drenched in lemon syrup and then drizzled with lemon glaze. i know, right? sounds delicious. i read the recipe over and over. i don’t like to try new procedures on my first run through a recipe. i’ve made cake, i’ve made syrup and i have made glaze. SCORE! tip 1: clean up, before you mess up. simple. start with a clean kitchen (and some fresh, warm dishwater). tip 2: read the recipe! read the whole thing from start to finish. don’t skip anything, don’t omit anything and for pete’s sake, DON’T ADD ANYTHING (until you have mastered the recipe and you OWN it and can make it flawlessly). read it and understand it. tip 3: never, NEVER try a new procedure, new recipe or new flavor at crunch time. you don’t want to botch the procedure due to inexperience. you don’t want to get lost in the recipe if it’s your first time and you don’t want to make something that you don’t like or doesn’t taste right when it’s your time to shine! bake with pride! if you want to do new things, try new things and mix and match flavors, by all means, do it, but do not do it the night before. or, as i have many times, you will be sitting on the kitchen floor, covered in ingredients and tears trying to figure out how you’re going to pull it all together before you’re due to deliver. trust me on this. tip 4: there’s nothing more agitating that being knee-deep in a baking project and having to stop and look for a gadget, tool or ingredient. be sure to pull everything that you know you will need. tip 5: measure out your ingredients. dry ingredients first, so you don’t have to wash and dry your measuring utensils before continuing. tip 6: if at all possible, test your oven. make sure that 375-degrees is actually 375 and not 325 or you will be excruciatingly surprised. tip 7: i don’t believe in margarine. i believe in BUTTER. real butter. Grade AA butter. if i don’t have butter, i don’t bake. you do what you feel is best for you, just know that i always always always use butter. if you follow those tips for this recipe, or any recipe, you will be prepared and delighted when your masterpiece is complete. except, for the butter thing. that is more of a preference. just know that when you vary ingredients you are changing the final outcome. whole lemons (in a bowl i painted) , one beautifully zested lemon, some fresh lemon juice and a mound of ZEST! Preheat the oven to 350 degrees F. Grease and flour 2 (8 1/2 by 4 1/4 by 2 1/2-inch) loaf pans. (i got the lemons from my neighbor and wanted to share the ‘labor of their fruit’ with them, so i went with mini bundt pans) You may also line the bottom with parchment paper, if desired. after cooling, spoon or paint the cakes with the syrup. on all sides. don't be shy! and now (another drumroll, please) TA-daaaaaaaaaaaa! (i know that last picture is a little on the fuzzy side… i was working with my cell phone, but wanted to show some detail… ). it’s the most recent baked good that i’ve made. i really enjoy making and sharing it. i was really happy and proud with the final product. i wanted to blog about baking. i hope you get the chance to try it! you won’t regret it. let me know how it turns out for you and if my tips were any help at all. until next time… Stay Sweet!